GeeksGyan is Again Back With Another Amazing Facebook and whatsapp Trick to create Fake conversations Screenshots.This is Really Awesome Trick If you want to fool and Prank your friends By creating Fake conversations of Whatsapp and Facebook Messengers.So In this Post I am Going To show You about How To create Fake Facebook And WhatsApp conversations.This Trick is Really awesome If you want to create Jokes,Funny Conversations with AnyBody.So Let me introduce You To An amazing app called Yazzy which allows Anybody to create fake conversations for Facebook Messengers,WhatsApp,Twitter and Many More Social Networking Apps. Each conversation screen Of Yazzy is highly customizable.You Can Easily customize bar With Custom Battery Level,WiFi,change,Change avatars, WhatsApp background, etc. 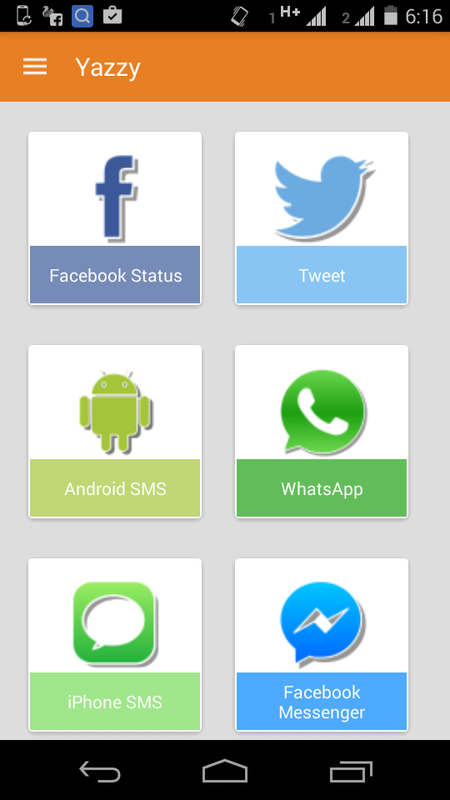 *By using this app, you can Easily Make any type of Fake Conversations in your android phone. *Create Fake WhatsApp group conversations. Steps to Make Fake Conversations App Yazzy in your Android Phone. First,Download Yazzy android app from Google Play Store which is Available For Free. Now Launch Yazzy in your android phone. Now Open Settings in Yazzy App And Do the Following Settings in it. *check Auto-update image option in settings. How To Create Fake Whatsapp Conversations From Yazzy App. 1. 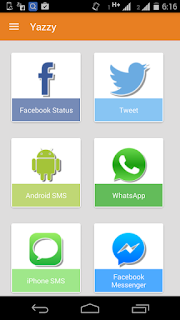 First Launch Yazzy app in your android phone and tap on Whatsapp icon. 2. )Now type the name of the victim/friend/anyone you want to prank in the Name Field. Enter the exact name Of the victim which exists in your WhatsApp contact list. 3. )Now add the profile picture of the victim by clicking on the avatar option. 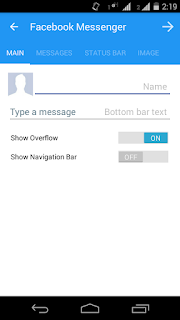 Now type Messages which you want from your side.Now click on right + button. This will add messages By You to the victim. 5. )Now After Typing The messages From your side,type the Chats which you want from victim’s side and then click on left + button.The above process will add messages from victim side. 6. )Now Repeat the above steps to add messages from both the sides. Now Swipe to the right and click on the refresh icon to see how the conversation looks.Now If Everything is OK Then click on Save button.The picture of the Screenshot will get automatically saved in your Gallery. First Launch Yazzy app in your android phone. Now Tap on Facebook Messenger icon. Now Type your name and write down your messages which you want to display by you. 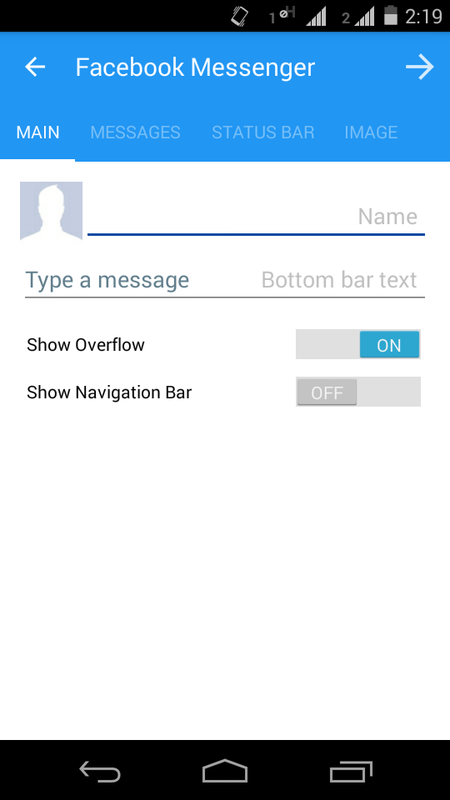 After the above step,Set the settings you want in STATUS BAR or leave it as default. Now Slide to Right, you will see your Fake conversation Picture. Now If Everything is OK Then click on Save button.The picture of the Screenshot will get automatically saved in your Gallery. So From the Above Simple Steps You can Create Fake conversations of Facebook,WhatsApp,Fake twitter tweets,etc. So Now You can Easily create anytypes of jokes with these fake conversations and You can share these funny jokes on social media.